PAN India 3G service provider, BSNL withdrawn one of its prepaid Mobile TV STVs, which was being provided by M/s Apalya Pvt. Ltd. with effect from 29th March 2018 on wards on PAN India basis. As per the latest information, Mobile TV STV priced @ Rs 182 will not be available for new customers for subscription since BSNL has decided to close connectivity with content provider M/s Apalaya Pvt. Ltd. However, existing customers in Mobile TV STV 182 will continue till their validity. Customers using Mobile TV STV 182 may activate other mobile TV STVs - 178 (provided by PK Online) or 179 (provided by Digivive) or 223 ( provided by Siti). Dear readers, please share your views and opinions about this latest news via comments with us. 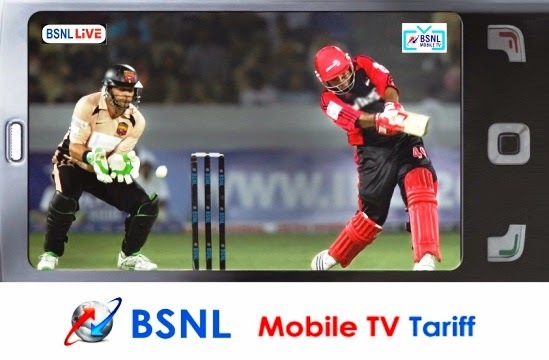 How many of you are currently using BSNL Mobile TV services?